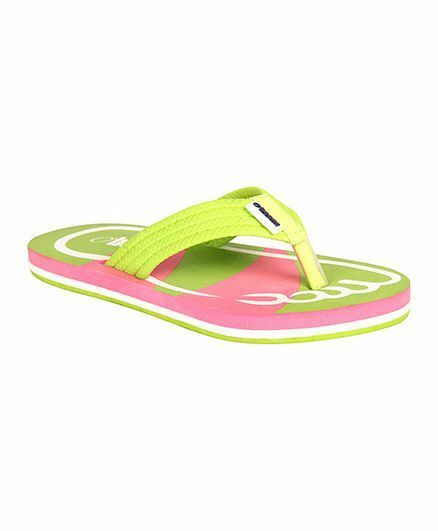 Let your young one walk around in style with these flip flops with back strap from Flipside. Made from EVA, these flip-flops are light in weight and durable. While the soft bed gives comfort, the back strap ensures a snug fit. Disclaimer: We have made a consistent effort to make the colors and finishes similar to the image of the products you see on screen. However, the actual product and the images on the website can differ! Customer's discretion is advised. Beanz Kids Shoes are made from the finest quality material for Boys and Girls in 0 to 14 yrs age group. Beanz boasts of style starting from Pram shoes and Pre-walkers till Dress shoes.